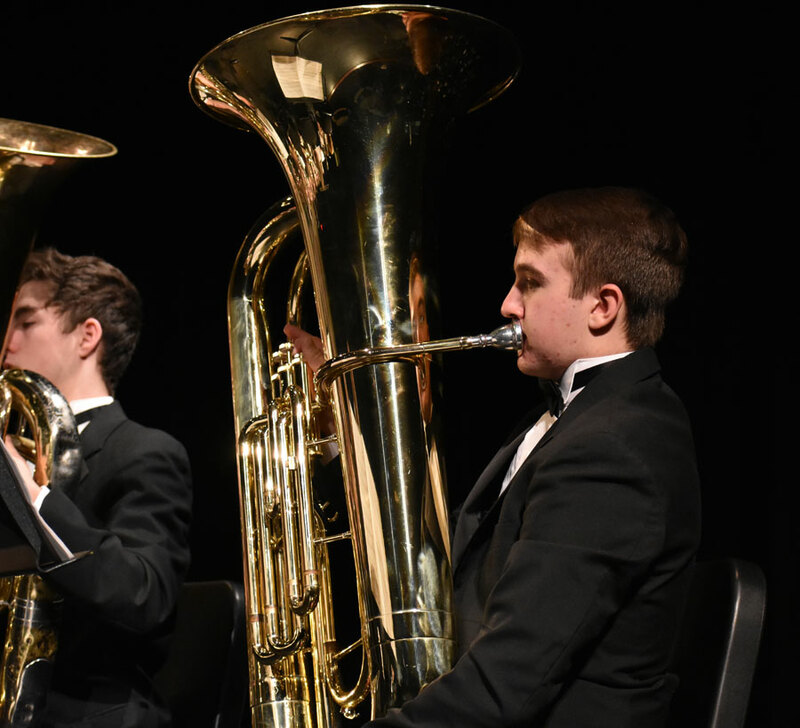 Freshman Tyler Smith plays the tuba in concert band. He switched from a sousaphone during marching band. 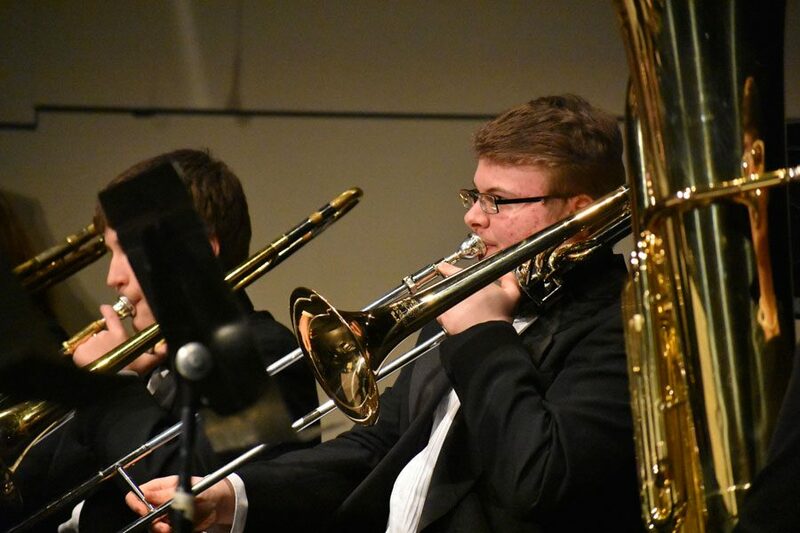 Sophomore Matthew Niemi emphasizes the stinger note on his trombone of "American Red Cross".